Google today unveiled Measurement Lab (M-Lab), an open platform that researchers can use to deploy Internet measurement tools which can detect internet based errors.When an Internet application doesn't work as expected or your connection seems slow, how can you tell whether there is a problem caused by your broadband ISP, the application, your PC, or something else? It can be difficult for experts, let alone average Internet users, to address this sort of question today. Due to lack of a comprehensive set of tools available today to counter these issues,Google took the initiative (as always) and introduced M-Lab. Over the course of early 2009, Google will provide researchers with 36 servers in 12 locations in the U.S. and Europe. All data collected via M-Lab will be made publicly available for other researchers to build on.It is a community based effort,so call it an Orkut for developers :) . 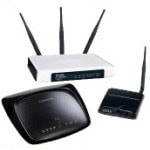 Diagnose common problems of internet which might low internet. Check whether bit torrent is blocked by their ISP or not. As of now these tools are in their first phase of evolution and will mature into a great piece of code with time. You can learn more at the M-Lab website. Posted by XERO.Googleblog – source. ALL RIGHTS RESERVED. For some reason Google didn't choose to register GoogleMLab.com or GoogleMeasurementLab.com.